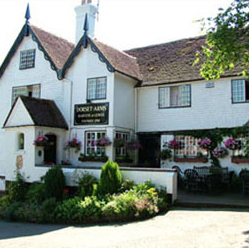 The Dorset Arms is a traditional Sussex Pub conveniently located in Withyham, on the outskirts of Hartfield Village and near to Tunbridge Wells. The pub has several different dining areas and a pleasant garden. 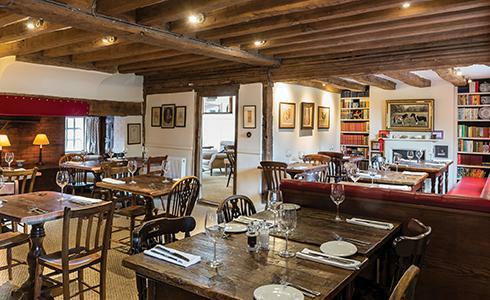 The pub serves great food using locally sourced products and has an extensive range of quality wine, beers and a new Gin menu. 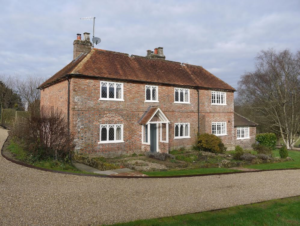 The Old School House, behind the pub, has six rooms each with en-suite bath/shower which are spread across two floors. The individually designed rooms each have either a king size or super king size bed, all have HD Television with free wireless and Nespresso machines. Four of the rooms have both a bath and shower, one has a bath and one a shower only. Breakfast is served in the pub. The whole cottage can also be rented for private events. New for 2018 are two renovated pub rooms, which are above The Dorset Arms, one is a family room sleeping up to four and one is a twin. 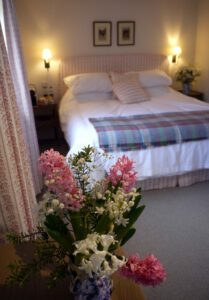 Rooms can be booked by contacting the pub.